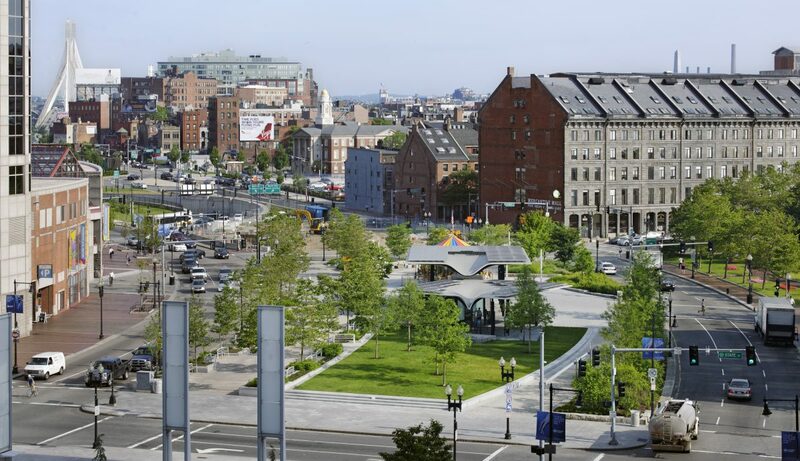 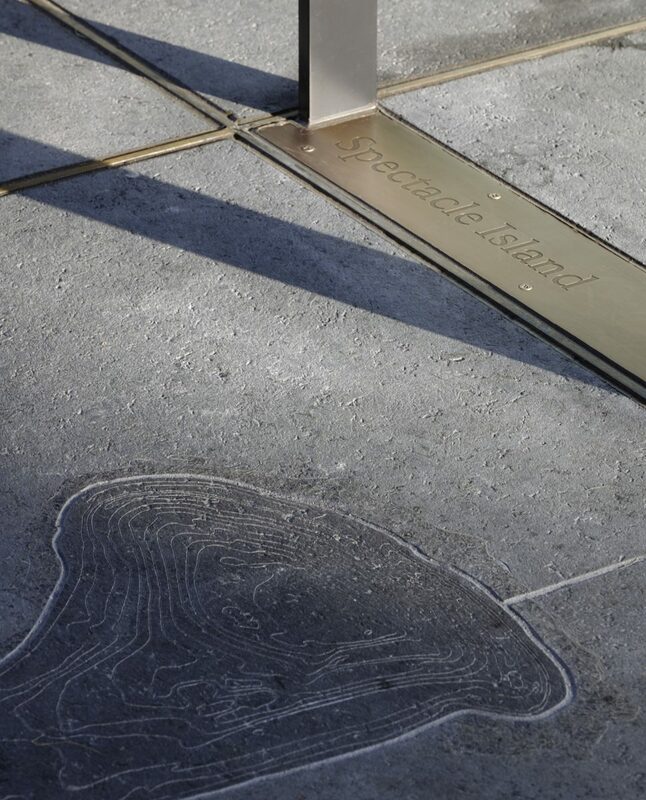 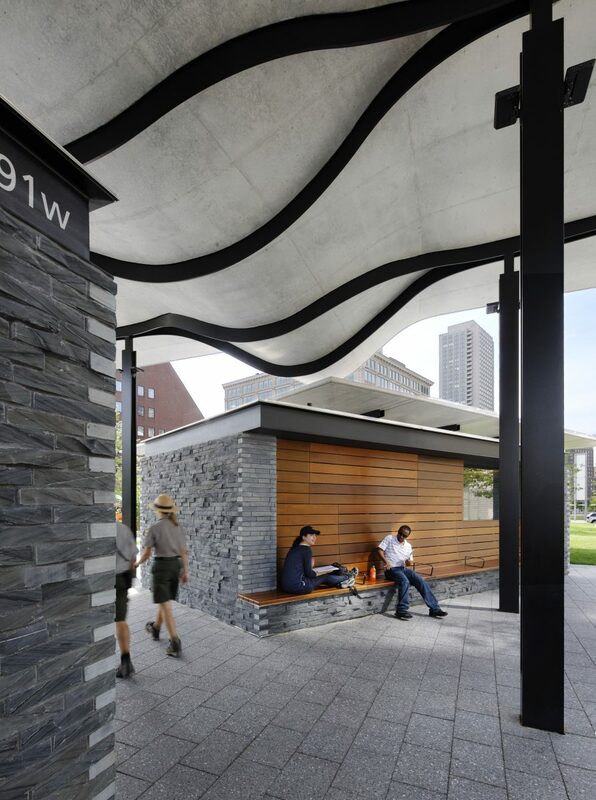 The Boston Harbor Islands Pavilion was designed to raise awareness of the nearby Boston Harbor Islands—a natural resource that is only a twenty-minute boat ride from Downtown Boston. 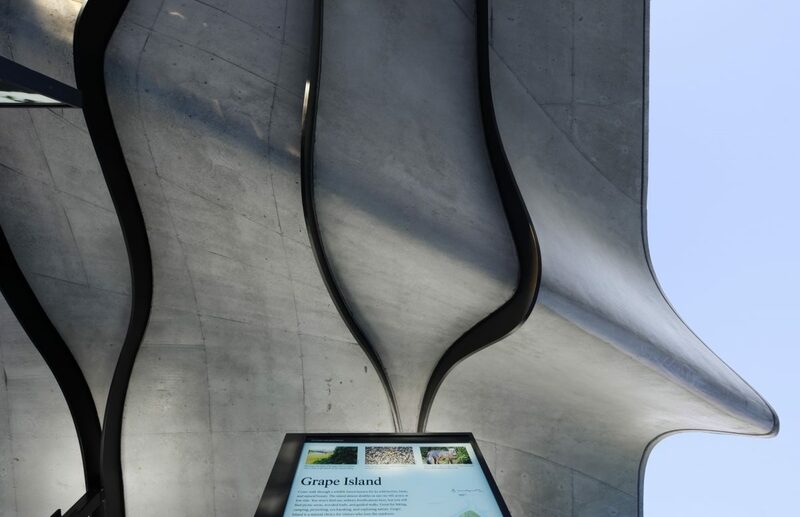 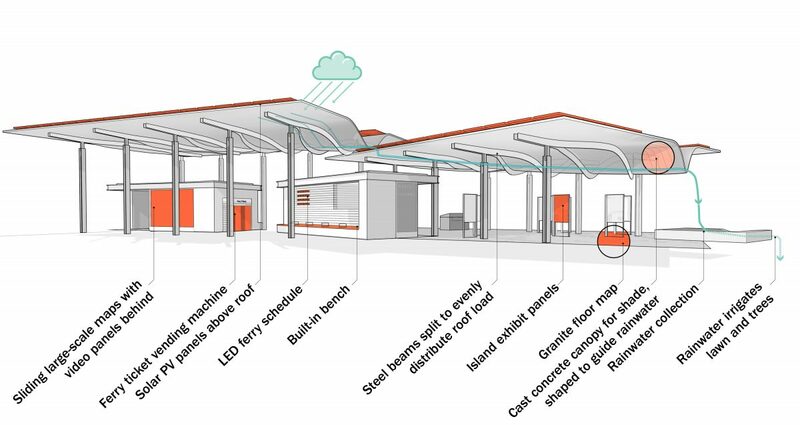 Two sculptural roof canopies define the pavilion and provide spatial definition and protection for two kiosks, a large-scale map of the islands incised into the pavement, and a permanent exhibit that highlights the rich historical and ecological diversity of the archipelago. 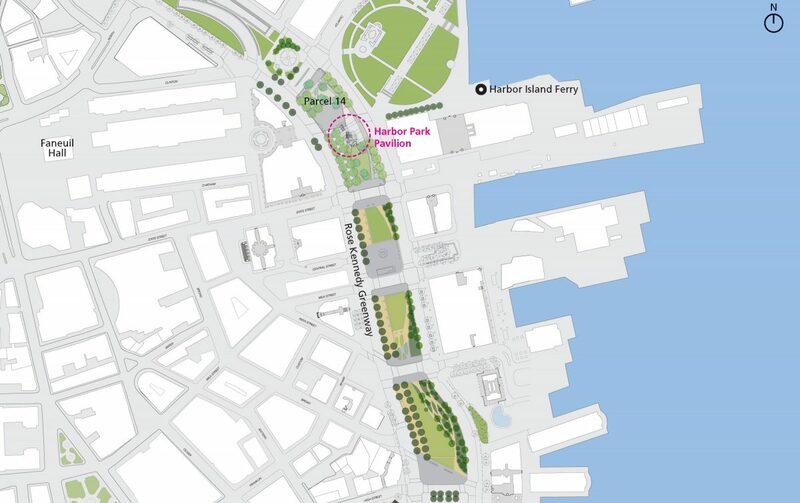 The open-air pavilion is staffed by National Park Service rangers and personnel from the Boston Harbor Island Alliance, the Park Service’s non-profit partner. 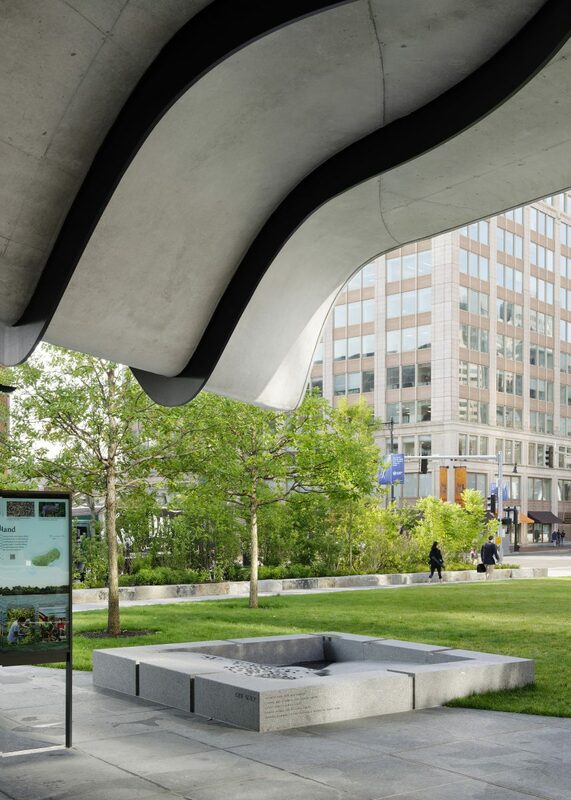 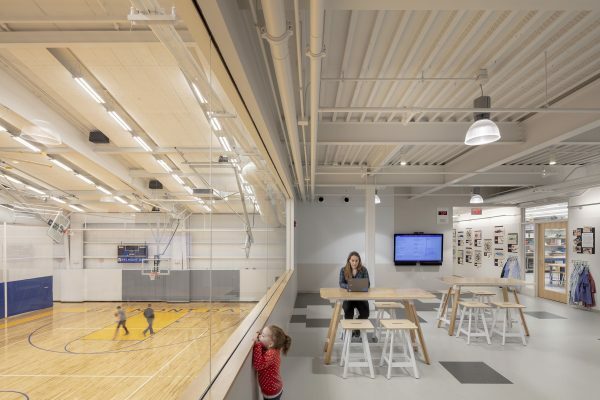 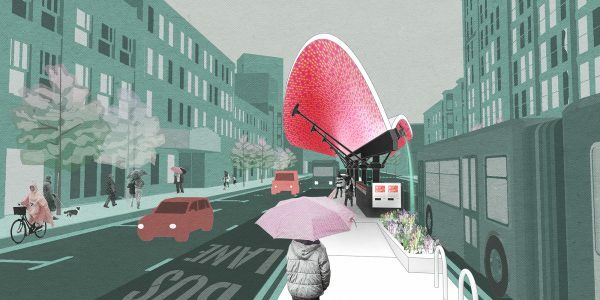 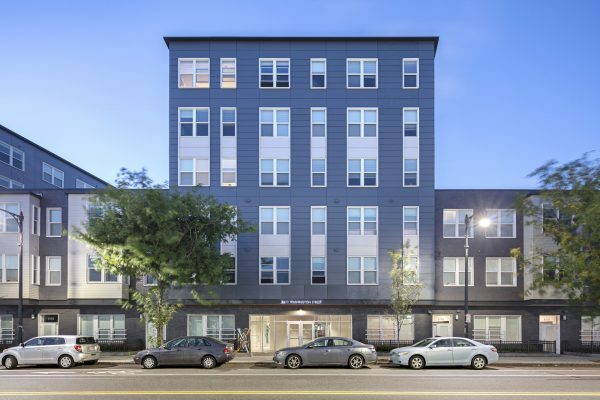 The pavilion was located and shaped by carefully studying the structure from a variety of vantage points using a digital model that included the surrounding urban context. 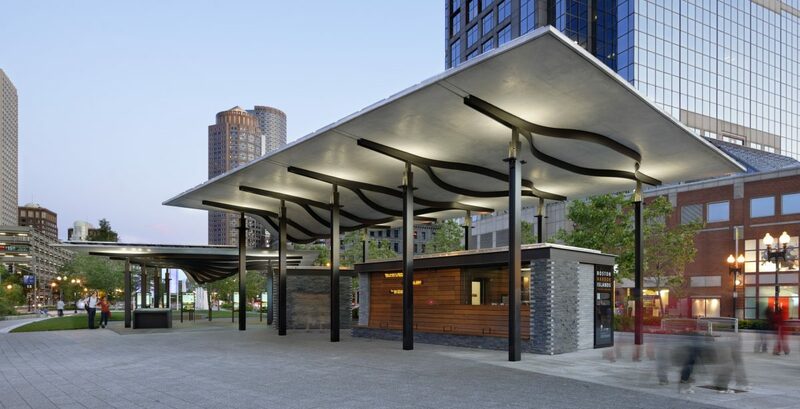 The pavilion roofs guide rainwater from the structures into a catch basin, which then guides stormwater into an irrigation system for the adjacent lawn. 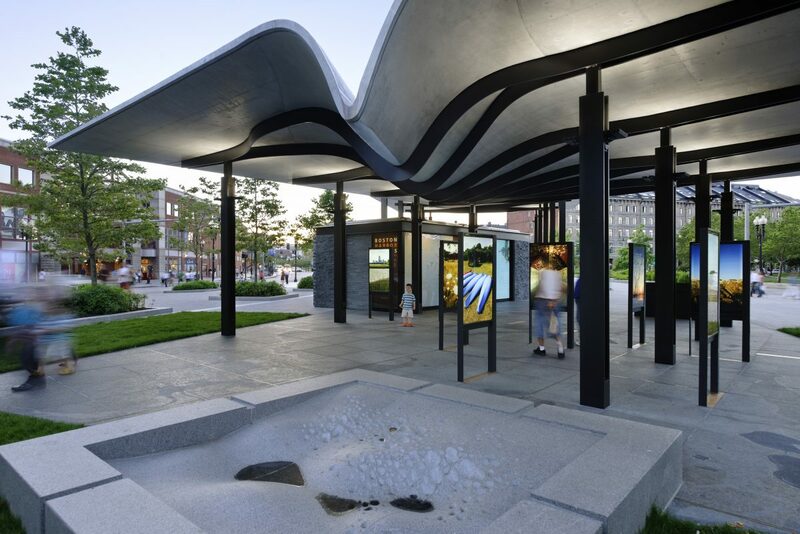 Utile also designed the exhibition panels at the pavilion, which feature the photography of Thad Russell.